The project «Der ingen skulle tru at nokon skulle boote» (Where no one would believe anyone would boot), is a recycled electronic art project. 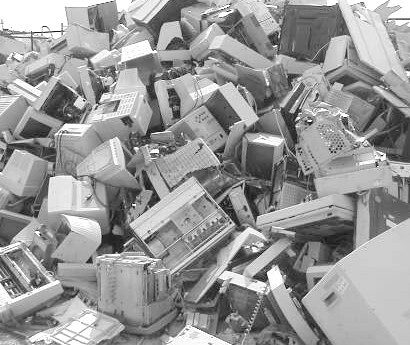 The idea was to collect about 80 old Pcs running windows XP, an operative system loosing all support in April 2014 and thus rendering the computers useless from a security point of view, reinstalling them with Linux, use them in an art installation, then give them away for free. In the installation, each computer will run a small program that analyzes incoming audio, and replies with it´s own sound signal based on what they hear. The way it works is that the computer tries to find recognisable notes that is sustained over a short period of time, and when it does, it replies with a song of it´s own, based on a harmony of the percieved tone. In a way it resembles the concept of cellular automata, or some form of quasi-multi-ceullular automata anyway. Or maybe one can see it as a form of stupid acoustic neural network with learning disabilities. All of the computers are connected to all the other computers purely via soundwaves. Left alone, they will maybe discover a behaviour of their own based on purerly the algorithms running in the software, and the acoustics of the room. But there is also the chance of the audience coming into the room and making sounds and thusly affecting the whole process in unexpected ways. Whatever happens, some sort of behaviour is expected. The work is inspired by the concept of emergence, where complex systems and patterns arise out of a multiplicity of relative simple interactions. Arnfinn Killingtveit seems like a Multi-artist with main background from music and sound art. Works with sonic expressions ranging from noise, improvisation and field recordings, to tranquil ambient and more beat oriented electronic music. He has frequented the musical underground scene for many years under different names, most active in recent years with projects like TARFIELD and Swamps Up Nostrils. 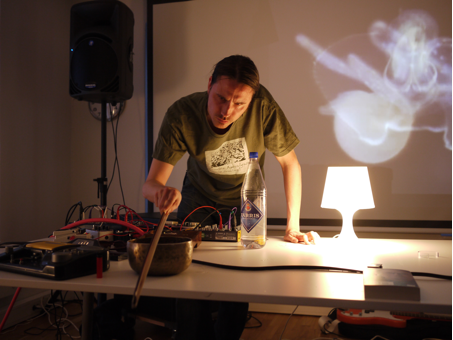 For live performances he mostly applies self-produced software as well as self-built electro-acoustic instruments and analog noise-gadgets, and have made instruments out of anything from alpine skiing helmets to fleshlights. A. Has also worked with technical and aesthetic advice in connection with other peoples art projects. 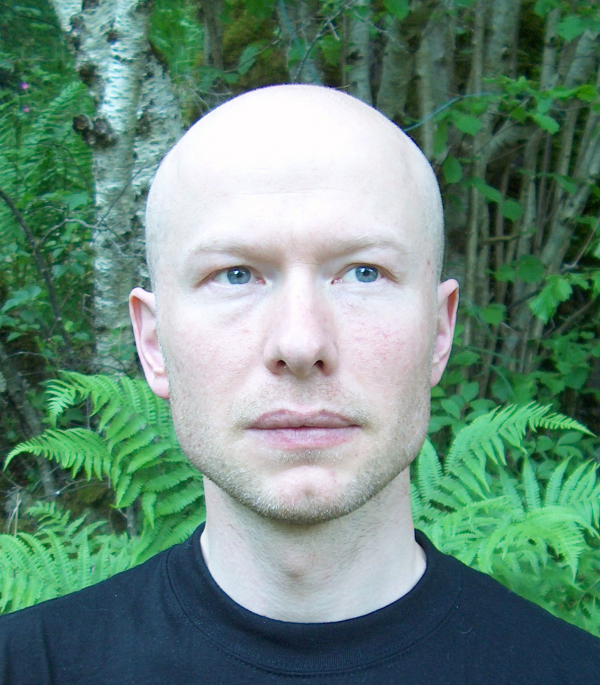 He has a master in Music technology from NTNU in 2009 focusing on algorithmic composition. He appear as one of the organizer of ”Klubb Kanin”, the ”Støy På Landet” festival, ”Lydeksperimentklubben” and the concert series ”Utfordring”, as well as producer in Trondheim Matchmaking 2009 and the Meta.Morf Biennale 2010. He also ran the very marginal music label “Krakilsk” for some years, putting out 50 releases of Cdr´s printed in his own bedroom, of artists from around the world. He likes trees in a non-sexual fashion and enjoys transgressive thinking in general. software/hardware like Pure Data, Arduino, Ardour etc. As a trained biologist he likes to make works that connect technology and nature.